I have watched the Planet Cake tv show before, their art works were amazing. When I learned that Planet Cake course was coming to NZ I didn’t want to miss out this opportunity, so I signed up the Novelty 101 course. Honestly the cost is expensive, but they provided a cake, tools, materials, lunch and everything we need. When I arrived everything was ready to start. Is the Planet Cake worth of the money? 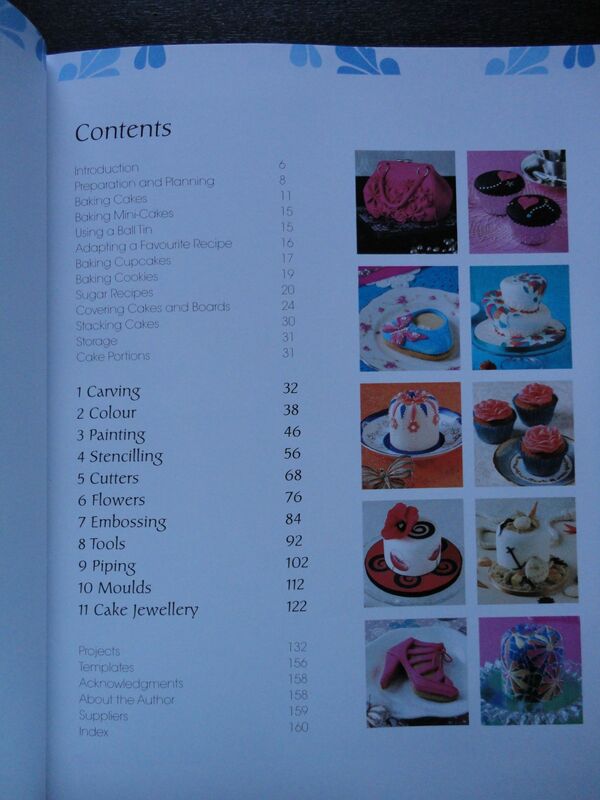 I’d say if you really enjoy learning and cake decorating, yes it is! Just before Christmas I decided to make some cookies as a gift. It wasn’t my first time to make cookies but the first time to decorate cookies! It was much harder than I thought. I hate washing the piping bags, so I used lots of the disposable ones. Also I only have one #1 tip and one #3 tip, I kept swapping the tips among different colour icing. It took me a few hours to complete all the cookies and some of them turned out ugly. Anyway I am not here to tell you how I decorated my cookies, but to share a good tip I just found online. 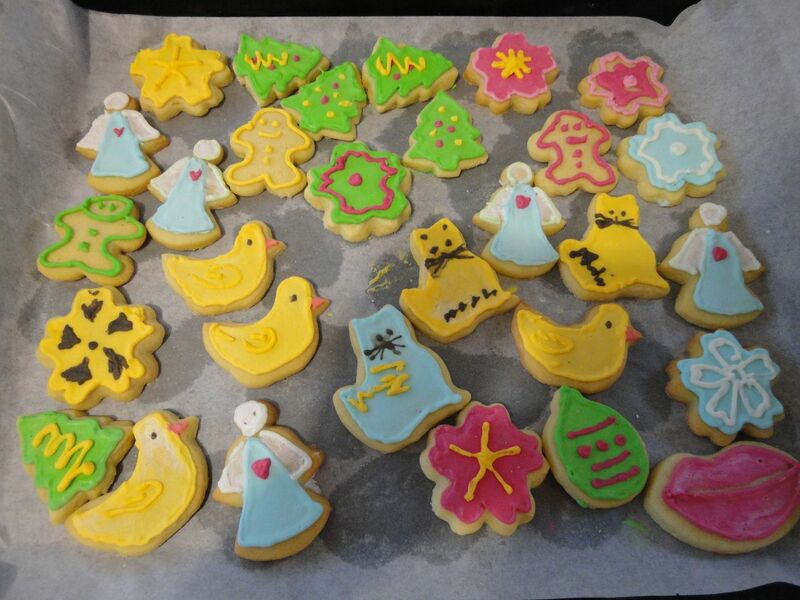 I wish I had known it before I decorated my cookies – it would make my life much easier. Thanks Karen who created this video and shared it! In the last two weeks I was very busy at work. I was too tired to update my blog when I got home. No wonder most of the good cake decorators are full-time mums. It is hard to maintain a stressful full-time job and have a time consuming hobby at the same time. Well, my journey has started and I won’t easily give it up, but just move forward slowly I guess. 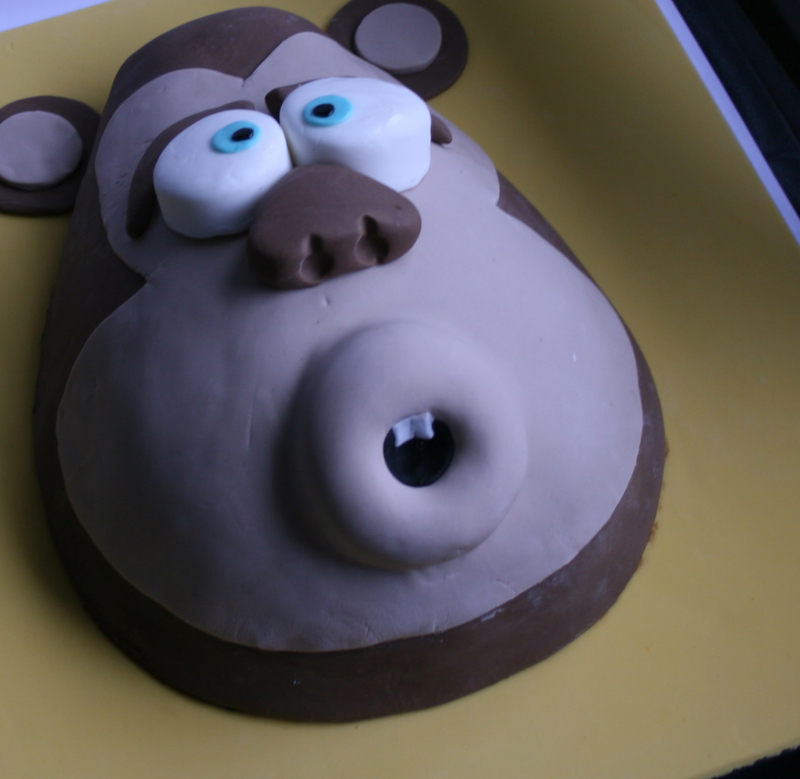 A couple of weeks ago I practice my piping skills on a cake dummy. Mainly I was trying different types of border. At last I felt like to give it a complete look, so I added my initial on the cake top. However the icing was broken, then I had to pipe a star to cover the flaw. One star seemed a bit awkward, then I ended up putting a few more random stars 😛 (also I wanted to reuse the buttercream, so I didn’t colour it and the cake looks plain). 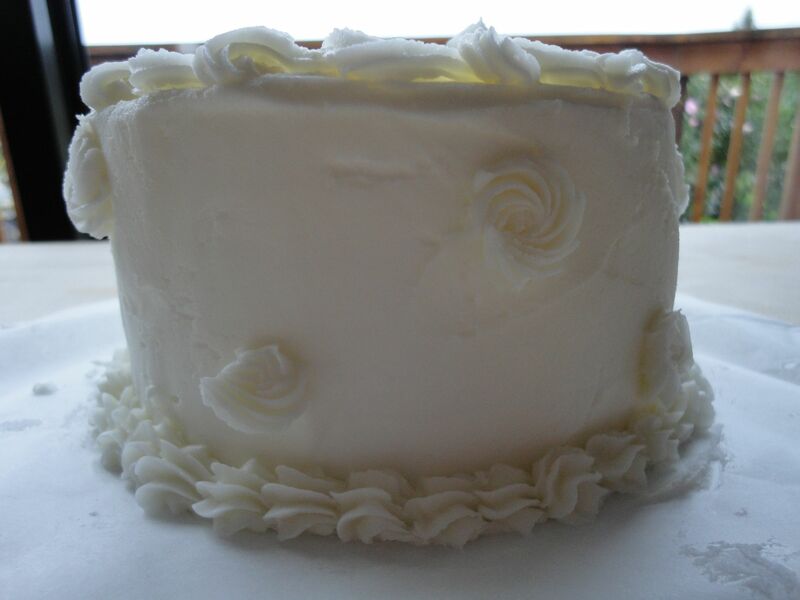 On the last weekend, I took another challenge – make my first fondant! Because the store-bought fondant is very pricy, I was thinking it is cheaper to make my own in the long run. I found a few recipes/videos on the internet. They all made it look like easy but I can tell you now it is not! I decided to use this recipe because no mixer is required (I don’t have a stand mixer). It was going well until I started to knead the fondant. I kneaded fondant so hard that I was sweating (in the winter)! Another problem was that I didn’t know when I should stop. The fondant was till sticky in a minute, but it was too hard in the next minute when I added more icing sugar. The recipe said 2Lb & 10Oz (1190g) icing sugar, hence I thought it was safe to add more because I didn’t finish the 1kg bag icing sugar yet. I didn’t regret adding the last batch of the icing sugar too much until the next day I started to use the fondant. It was too hard and impossible to roll it out. I had to heat it up by the microwave so I can work on it. I did wait for it to cool down a little bit before I kneaded it, however I underestimated the temperature inside the fondant and it burned my hand badly. OMG it was like hot wax sticking to my skin, I couldn’t get it off for a second. Not to mention a few hours of strength draining processes (I made a boo-boo on the buttercream as well, it was dry and broken apart 😦 ), eventually I completed decorating 6 airplanes and 12 cupcakes. Making fondant again? Next time I will think it twice. Umm…however if I don’t try it, then I will never improve my skills. C’est la vi! I learned to make roses using buttercream in the Wilton class. To be honest I didn’t do well. The icing kept breaking and the shapes were awkward. Today I just found a video on YouTube of making fondant roses. It is unbelievably easy! 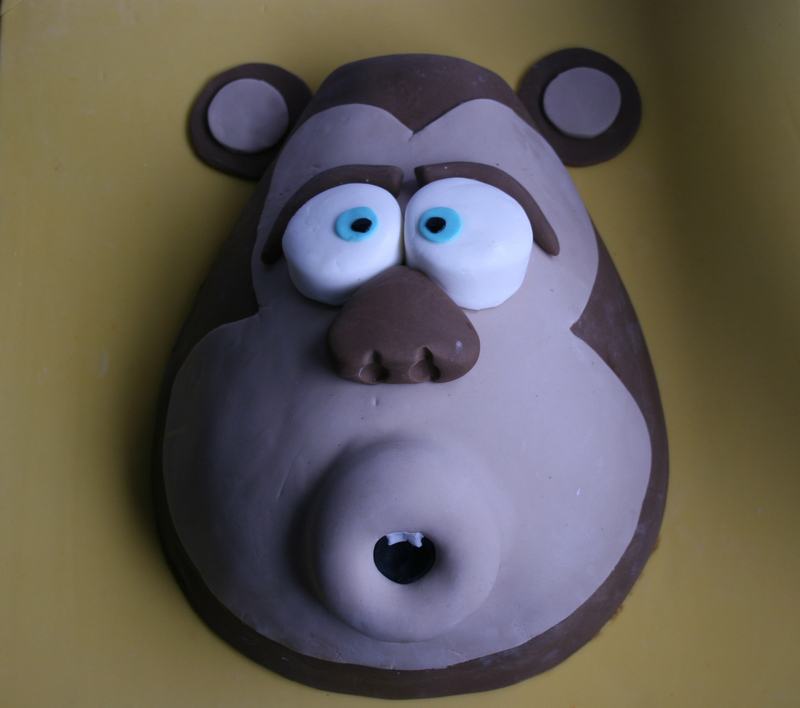 I came up with an idea of practicing the other day – to use toy clay instead of gum paste (it is much cheaper). I couldn’t wait to try it out. 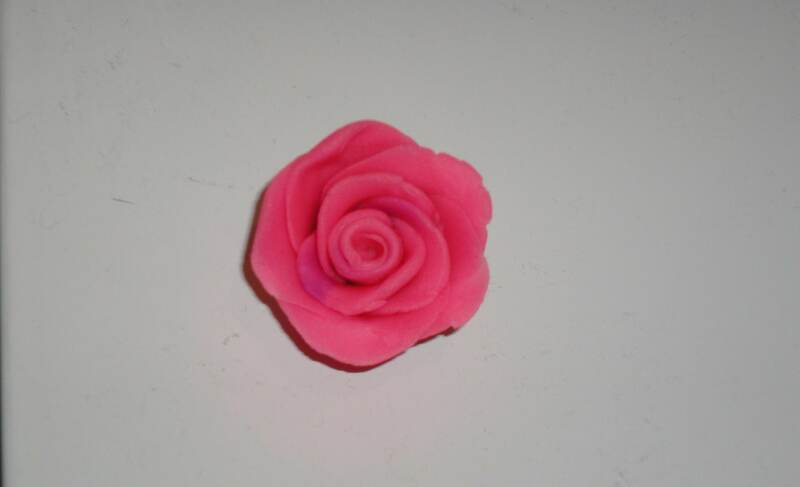 I got the chance… yay – my first practice was to make a rose! Actually the clay is a bit too soft, but it is good enough for a trial run. I have added more petals than the video, it turned out ok (unfortunately the camera is not very good – hard to do a closeup shot). This way of making roses is nice and easy, I loved it. I would definitely try it again using the fondant one day! After I started learning cake decorating, I realised that it is much harder than I thought. Hand strength definitely is one of my weaknesses. I always squeezed tiny stars or flowers while other students in the class could squeeze out some decent size of stars or flowers. My hand got sore easily, so it was hard for me to apply constant and consistent pressure. Just found a good tip from the internet – squeeze the middle of the piping bag instead! Here are some useful basic techniques on videos. 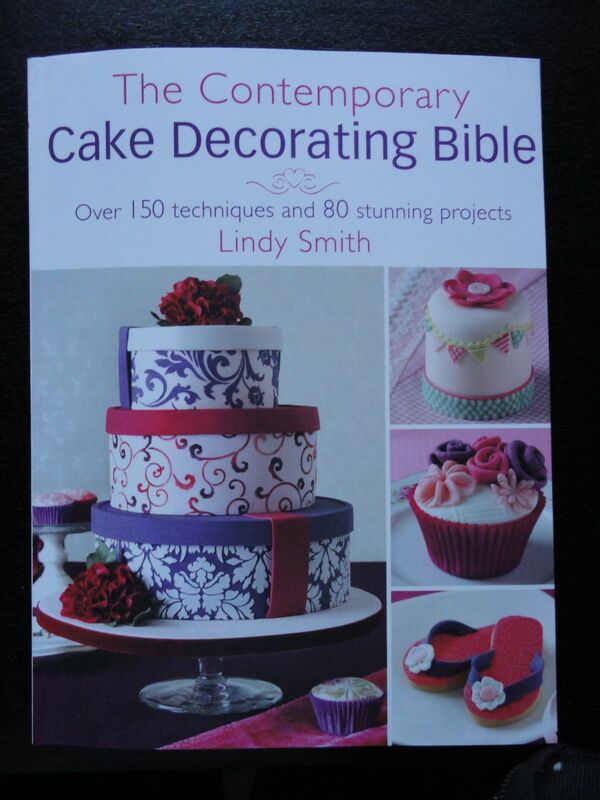 Furthermore I found out the demonstrator – Sandy Sheppard is a profession, (no I should say master) cake decorator. Her works look amazing! I wish I could be one of her students. 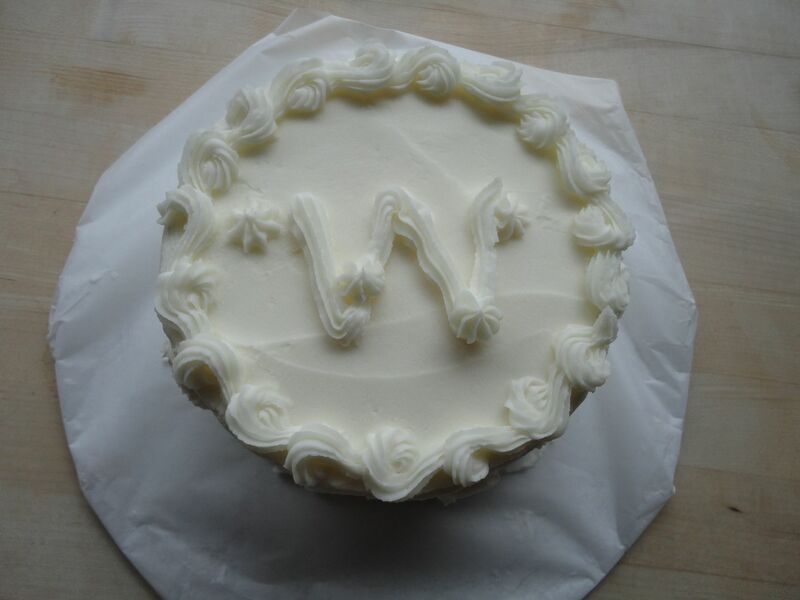 I enrolled in the Wilton basic cake decorating course hosted by Milly’s Kitchen from 2/07/12 to 11/07/12, 2 hours per session, 2 classes per week. It was hectic in the last two weeks. The class started at 6pm to 8pm. I went to the class straightaway after my work without eating, but strangely I wasn’t hungry most of the time. Perhaps it was because I had too much to learn and think about but had no time for my stomach. After class I had to prepare cake or cupcakes for the next class. I buried myself in the kitchen for hours. To be honest I was tired by the final class was finished, on the other hand I was happy with my creations. They were far from perfection, but I was proud of my very first decorating experience. My colleagues loved them too.